Hi there! I’m Karrie Trowbridge, the voice behind maker of home. Welcome to my little corner of the internet where I share both my personal and professional creative endeavors that revolve around all things home improvement. I was born with a creative brain and a maker’s heart. 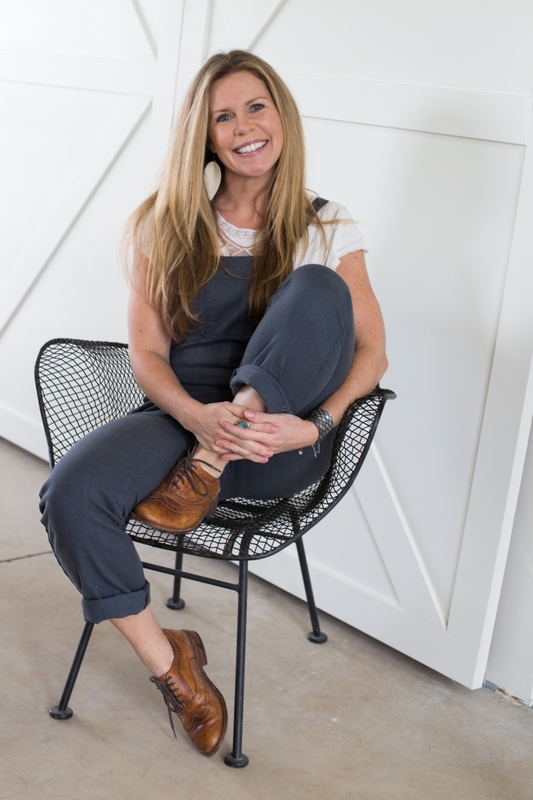 I’m an interior designer and own a construction company in Bend, Oregon with my family. I’m married to a great guy and we have 3 amazing sons! I love the outdoors and have been a tomboy my whole life. We’ve lived in Bend for 18 years…. In 8 different houses: 2 of which we fully gutted and remodeled, and 2 that were my own personal designs and builds. My husband Patrick is a real estate broker and investor. We’ve subdivided and developed property, as well as built multiple custom homes and renovated over a dozen houses. I manage the design and construction aspect of our business. I LOVE what I do!! We are small scale, so that we can focus on doing the best work, while maintaining a healthy, balanced work/family life. In my spare time, you can find me in my workshop tinkering with power tools, sewing machines, or refinishing/reupholstering vintage furniture. We try not to take life too seriously! This photo was taken at the end of filming a home renovation pilot episode for HGTV which aired in 2017. We’re excited to announce that “Mom & Me” got picked up for a series and it will be premiering in the beginning of 2019! If you’d like to learn more, please Visit our HGTV Show page. If you’re looking for a super knowledgable real estate team, click here to be redirected to my husband’s website.